Harper Lee’s two novels demonstrate painfully that our collective work toward racial equality is unfinished. To Kill a Mockingbird, a story of judicial triumph (inasmuch as the jury even debates Tom Robinson’s guilt), concludes with an appeal that is never initiated. Go Set a Watchman, which cannot otherwise be viewed as an alternate telling of the story, reminds us that racial equality is yet unrealized in America. Granted, Jim Crow is gone, whites only restaurants are a historical footnote. But the deep divide between rich and poor, often reflecting racial lines, persists. 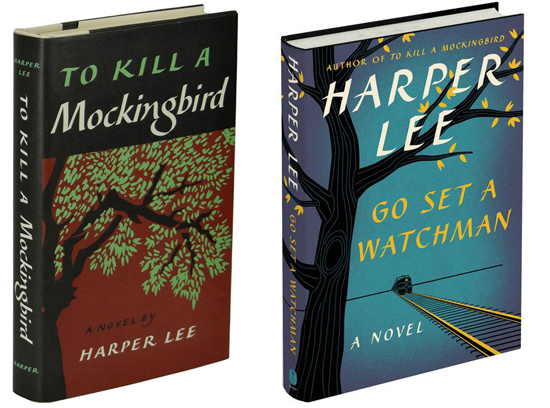 We want the “happy” ending of Mockingbird, but Harper Lee reminds us that we must deal with the harsher realities of Watchman. There is some considerable question as to whether Lee intended Watchman to see the light of day, and, now, with her passing, we will never know; although the answer to that question was elusive even when she was living, given the state of her mind. But there is a part of me that believes she intended something. That she may have penned Watchman after Mockingbird (which I generally doubt) only amplifies my belief that Lee intended to deconstruct our interpretation of America, as seen through the lens of Mockingbird. Anyone reading Watchman senses the novel was left unfinished — the official line is that Watchman was an earlier draft of Mockingbird. Truly, Scout’s reminiscences of her childhood are Watchman’s more delightful sections (something her publisher observed when it asked her to rework the story), but Louise Finch’s struggle with her father — and herself — in Watchman is more potent. That struggle leaves the reader uncomfortable… and perhaps that was the message. That Lee embraced this conflict, that she exposed it, is her lasting legacy, reminding us that if we want the Atticus of Mockingbird, we must still attain it. Have you seen that she said she’d be buried with her Olivetti? One wonders how many manuscripts are hidden away among her possessions. One has to believe she continued to write (or type) throughout her life, even if for her own pleasure. That any other work of hers has to measure up to Mockingbird is unnecessary — I enjoyed Watchman, and I likely would enjoy any other novel. Hopefully, only her typewriter will be buried with her.